What Do You Do Before Signing A Commercial Real Estate Lease? Congratulations! You’re about to sign a commercial real estate lease! Before you do, be sure to check out our list of things you should review before you sign along the dotted line. Real estate investing is serious for you and your business so you need to be sure that you’re taking all the right steps for a successful investment. 1. Is Renting the Right Thing? If you are in the financial place to find a building for sale, should you look into that versus signing a lease? Commercial property for sale can be a great investment for your business if you are looking to make roots in that geographic location. Renting is always a great option for a business looking to grow their business exponentially in the next 2-3 years and might want to move or upgrade to a different space. 2. Have Your Read the Lease All the Way Through? Some leases can be daunting and long. Be sure you read through it yourself or even reach out to a real estate lawyer to help you better understand the agreement. There can be minute details that you miss that could severely impact your day-to-day operations. 3. Is the Price Right? Research the surrounding properties to check on the price point of your lease. Just because the lease has been drawn up, doesn’t mean you can’t renegotiate the price of your rent. A great clause to enter into the agreement would be a cap on the rent or a percentage cap to avoid costs rising with inflation. 4. Do you need a short-term or a long-term lease? If you are a new business starting out, it would benefit you to have a short-term lease (1-3 years) with the building versus a longer one (3-5 years) which is around what a normal commercial real estate lease would be. Including information on property structure changes is an important aspect of your lease considering the length of the lease. Are you allowed to paint walls? Can you add on a bar to your restaurant? All of these questions are pieces to be included in a lease. We’ve listed two other websites for you that go in-depth with some more detailed questions to ask yourself before you sign a commercial lease. 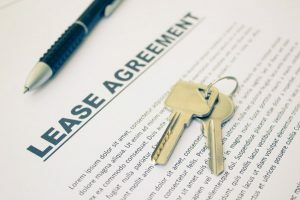 We are always here to answer any concerns you have about a lease, but to also help you find the property that is the right fit for your business. Feel free to contact us to schedule an appointment today!